……the first day is on us. Currently in our store we have a full selection of next season’s K2 skis. Powder Skis, All Mountain, Skis Ladies Skis. All in next season’s new graphics and construction. The first day is free, even if you only take them out for one day. 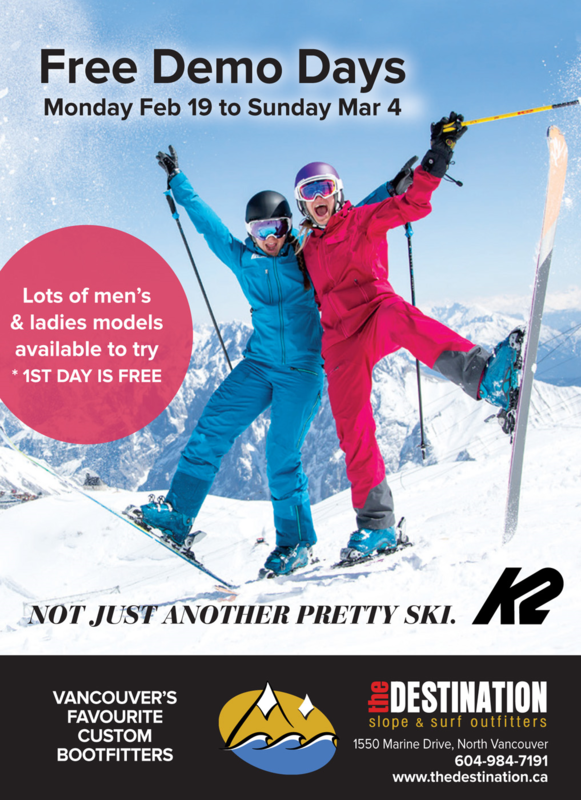 All we ask is for your email address so we can send you a thank you for trying out some K2 Skis. You will be able to get a jump on your friends by testing skis before they are available in the stores. You can even pre-order them if you fall in love with a pair. Don’t delay, this offer is only available until March 4th because they get packed up and get shipped out on the 5th.